Would you recommend Conferize Organizer to a friend? 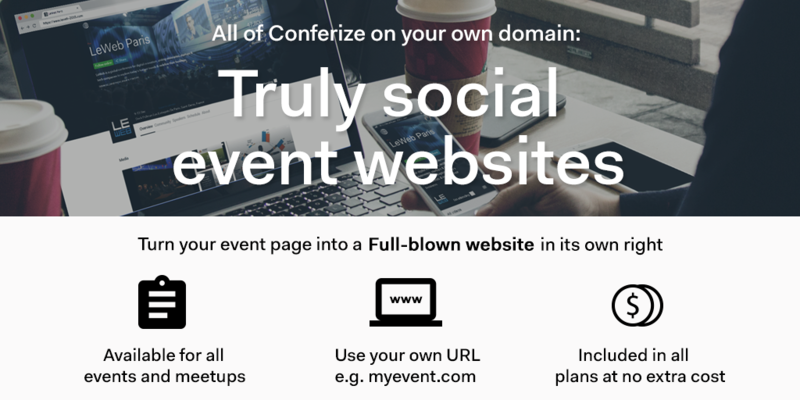 Nice website tool for events by @FerroGate and the rest of the Conferize team. Why did you build this, @FerroGate? @kjemperud Because we heard from 100s of event organizers they wanted a simpler (event-specific), more social and more dynamic solution that what was available in the market. Since it's mostly self-serve we're able to offer it at a pretty disruptive price too (free for free-to-attend meetups and free up to 100 people for any other event). @ferrogate Sounds like it can be useful of a lot of small event organizers. In what ways are Conferize Organizer different/better than what is already available? What's the killer feature? This is a welcome add-on. I have refer to Conferize and Lanyrd for events' tracking and this option for 'Organizers' is of great help! Cheers! !